Across the sea to the West is Saudi Arabia, while across the sea to the East and south lies Qatar. Bahrain is one of the smaller nations in the world. With a total land area of only 717 sq. km., Bahrain ranks with Singapore or Micronesia in geographic size; while its population of 727,785 is about the size of Cyprus or Montenegro. Bahrain is a member state in the Gulf Co-operation Council (GCC). The GCC, with a total population of 40 million people, is a political and free trade union founded in 1981. Since January 1 2008, GCC nationals can move, study, work, and live freely within the union.The history of the Kingdom of Bahrain goes back thousands of years. The Al-Khalifa family captured the island in 1783 from the Persians. In order to retain power, the family dynasty signed a series of treaties with the British resulting in Bahrain coming under a UK mandate as a protectorate in 1892, which lasted until Bahrain achieved full independence in 1970. The Al-Khalifa family has ruled the country continuously from 1783 until today. The Al-Khalifa family’s policy for the Kingdom has been to make it one of the most open societies in the world—socially, financially, economically, and politically. Today, in a world of direct flight connections and internet dominance, Bahrain benefits greatly from its openness; its liberal attitude in relation to business and tourism attracts visitors from all over the world. According to the International Monetary Fund (IMF), Bahrain’s economy will grow at a rate of 2.1 per cent in 2009 and 3.9 per cent in 2010. Although Bahrain is an oil-producing state, its progress does not depend on oil alone. The enregy sector contributes only 15 per cent of Bahrain's GDP, while the national economy is greatly expanding and becoming a world leader in the fields of banking, internet, technology, information services, telecom, tourism, construction, and education. A glance at the state-run website http://www.bahrain.com/ will quickly show how dynamic, beautiful, and inviting the Kingdom is. By striving to be in the first rank of global business leadership, Bahrain has achieved a long series of “firsts” in order to rapidly move into a major leadership role in world banking, finance, business opportunity, tourism, high-performance sport, education, and culture. 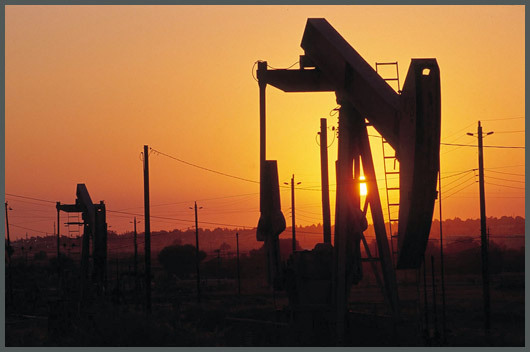 Bahrain – and not Saudi Arabia - was the first country on the Arab peninsula where oil was discovered and an oil well was located, with the ‘black gold’ spurting from the first well in the Middle East the 16th of October 1931. But Bahrain never relied on its oil industry, but instead invested its profits to serve as a catalyst for the development of the rest of the economy. After becoming an independent state in 1971, the government moved quickly to set up an independent financial regulatory body, the Bahrain Monetary Agency (BMA). The BMA, from the beginning, was the lender of last resort, responsible for the national monetary policy. 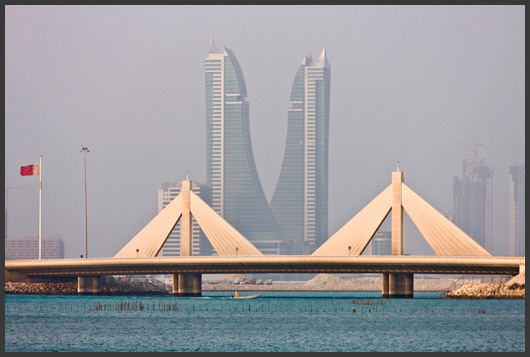 After achieving independence in 1971, it was renamed the Central Bank of Bahrain. Citigroup was the first Western bank to set up an Islamic branch in Bahrain’s capital in 1996. Today, Manama hosts 24 Islamic banks and 11 Islamic (Takaful) insurance operators, by far the largest Islamic financial centre in the Gulf region. Sheikh Nizam Yaqubi of Bahrain is one of the world’s leading Islamic scholars, who consults some 40 financial institutions worldwide in the field of the Koran and capital. This market is currently growing at 15–20 per cent a year, and is expected to reach $2 billion by 2015. 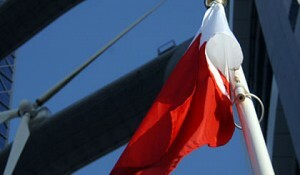 Bahrain was the also the first GCC state to sign a Free Trade Agreement (FTA) with the USA in 2004. In 2005, Alees Saaman, a Christian Bahraini, became the first female and first non-Muslim deputy who chaired a parliament in the GCC. 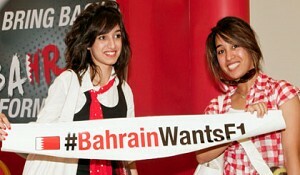 Today, Bahrain women are fully integrated into society. The recent world financial crisis certainly had its impact on corporate results, but: “We’re fortunate in Bahrain,” says Talal Al Zain , CEO of Mumtalakat Holding, Bahrain’s $14 billion sovereign wealth fund (SWF), “that Bahrain has always been managed in a conservative manner. The Bahrain Central Bank has been very prudent in protecting the market and financial sectors though the downturn the world is going through now.” For example, none of the large real estate project cancellations, such as those in Dubai, occurred in Manama. Bahrain is the only state on the Arabian Peninsula that harbors a Synagogue for the 100 Bahraini Jews living in the country. Bahrain recognizes in practice that the Holy Quran recognizes both Jews and Christians as “peoples of the book,” since both are believers in a monotheistic religion (i.e. to have faith in one God). Therefore, Bahrain has thriving Jewish and Christian communities. In 2000, the Emir appointed a Christian woman and a Jewish businessman to the Consultative Council. On the Muslim side, Bahrain also displays its openness as the only GCC country with a majority Shi’ite population—although the members of the Al-Khalifa governing family are Sunni. Other countries with a Shi’ite majority are Iran, Iraq, Lebanon and Azerbaijan. In Bahrain, both communities live side-by-side and take part together in the social and governmental life of the nation. Thousands of tourists from all over the world, regardless of their faith, visit the famous Al-Fateh Mosque near the Royal Bahraini Palace in order to learn more about Islam and his messenger Mohammed (peace be upon him). The Al-Fateh mosque is one of the largest in the world, capable of accommodating over 7,000 worshippers. “We are proud of being the boutique destination of the Gulf,” says Dr. Heba Aziz , the director of tourism . The term “boutique” often connotes little more than higher prices; but in Bahrain care is taken that excellence in quality and personal service. These are the standards that Bahrain’s success is built upon. Nevertheless, the Kingdom faces challenges. The financial crisis weighs on construction and on the banking sector, although less than on the latter than any other banking hub in the world (like Switzerland). Locally based banks escaped relatively unharmed from recent fluctuations, while Western-based banks have been feeling the heat from their home countries since mid-2007. A local setback for real estate firms and banks in the Gulf emerged later amid a credit crunch and declining liquidity in the market triggered by falling oil prices and declining world trade. Yet, Bahrain’s conservative and prudent financial management prevented these from affecting the Bahrain economy to a greater extent than other financial hubs. As a result of an increasing risk for businesses in the Gulf, Moody’s Investors Service, a leading international rating agency, downgraded Bahrain’s creditworthiness to ‘negative’ in January 2009. Also challenging is the situation at the local exchange. 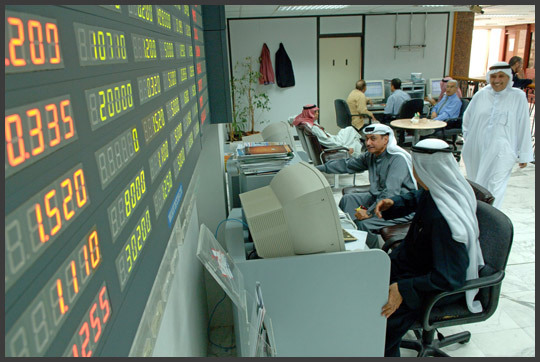 The Bahrain Stock Exchange (BSE) ended last year 34.5 per cent lower (compared to a profit of 24.3per cent in 2007). Since the start of 2009, however, the Bahrain-All-Share-Index has been moving sideways amid lacklustre trading. Social unrest is on the rise. While spontaneous demonstrations of low-income workers are not unusual in Bahrain, and scenes at the airport involving riot police and supporters of political imprisoners also happen from time to time, burning labor camps are new. The ongoing presence of the U. S. Navy Fifth Fleet Headquarters in Bahrain puts the country on a high risk level as well—especially if the US and Israel attack Iran. Since the majority of Bahraini people are Shi’ites (as are 90 per cent of Iranians), the Sunni Royal family expects its Shi’ite citizens to be sympathetic to Tehran. Members of the Iranian government frequently suggested that Bahrain should be part of the Islamic Republic of Iran. According to US President Barack Hussein Obama, however, Washington will wait until the end of this year in order to decide whether Iran is complying with Western demands not to enrich uranium which can be used to produce nuclear weapons. Although Islamic banks do not deal in high-yield products or hedge funds (both are forbidden), some came under pressure when the first Islamic bond (the $100m Sukuk launched by the Manama subsidiary of Kuwait’s investment firm Investment Dar) defaulted last May. One month later, the Bahrain branch of the International Banking Corporation of the Saudi entrepreneur’s family, Ahmed Hamad Al Gosaibi & Brothers, went bankrupt, triggering fears of a Madoff-style avalanche in the region. Saudi Arabia’s Saad Group, a $30 billion empire, also defaulted on its Manama-based subsidiary Awal Bank. According to the Saudi newspaper Al-Riyadh daily, both family clans owe $40 billion to more than 100 banks. Nevertheless, since every cloud has a silver lining, Bahrain’s SWF is looking for investment opportunities in the Middle Eastern real estate market, according to Mr. Al Zain. GCC sovereign wealth funds have a long tradition of acquiring projects at bargain prices. The CEO’s statement once again reflects the country’s openness, one of its biggest intangible assets. The UAE and Oman have decided not to join the “Euro in the Gulf”-project. As a result, Bahrain will be joining the GCC currency union which shall begin after 2010 to replace the region’s existing currencies: the Dinar in Bahrain and Kuwait, and the Riyal in Saudi Arabia and Qatar. As the introduction of the Euro in European Union demonstrated, uncertainties regarding price developments and recalculation of assets are high whenever an existing currency is replaced by a new one. Investors have to bear this in mind when they enter the Bahraini market. Sheikh Khalifa is the oldest serving Prime Minister in the world. 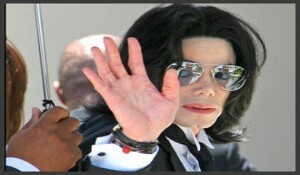 His Highness wants to leave a legacy that will earn the world’s respect and admiration. The campaign “Vision 2030: Business-Friendly Bahrain” was established by the country’s Economic Development Board to achieve this legacy. Bahrain’s economy is the 16th freest in the 2009 Index, which is measured and published on a yearly basis by the US-based research institute, The Heritage Foundation, and The Wall Street Journal. Bahrain's economic freedom score is 74.8. Its overall score is 2.6 points higher than in 2008, primarily because of labor market reform measures in recent years. Bahrain is ranked first out of seventeen countries in the Middle East/North Africa region, and its economic freedom score is well above the world average. “Bahrain is also ranked No. 1 in the GCC and 33rd of 127 economies in Forbes’ Best Centers for Business 2009 report,” adds Yousif Ahmed Al Mahdi , Deputy CEO of the Bahrain Chamber of Commerce and Industry. The leading firms in the country prefer the clear vision and objectives set by the “Vision 2030”-strategy. 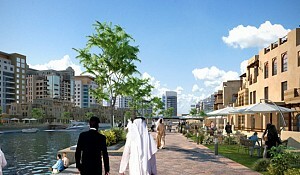 “To me, at Mumtalakat, my mandate is to develop wealth for the country and the people of Bahrain. That is Mumtalakat’s contribution to the economy,” says Mr. Al Zain. The financial crisis demonstrates that size no longer matters in order to achieve superior returns. Bahrain invites all those who want to take part in doing business in a world-class environment where your clients and partners are located in the neighborhood. Sometimes, being small really can be beautiful.